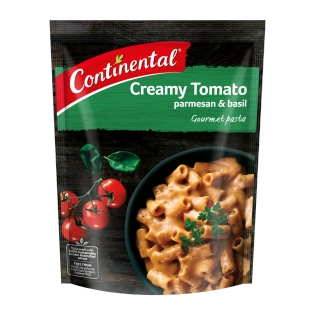 This rich and satisfying Creamy Tomato Parmesan & Basil Pasta is blended with tomatoes, authentic parmesan cheese and finished with a subtle hint of basil, the perfect winter warmer. For a little something extra, just stir through baby rocket leaves and top with olives and chopped parsley. tried this pasta as it was on special and thought it looked interesting, the flavour just blew me away! i had it again for dinner as i was craving it. will definitely buy more!